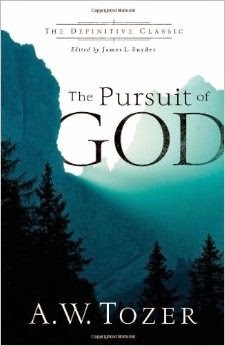 This month's Reading to Know Classics Book Club read is The Pursuit of God . A classic? Well, it qualifies as a Christian classic and therefore qualifies it for the book club. To date, this might be the most widely read of all the book club reads, based on the statements of commitment! Time will tell but I rather suspect it will be well-read this month. While I'm glad to have read it, I cannot exactly say that I enjoyed the read. In true fact, I rather didn't. (Whaaa . . . ?!?!!) Oh well. You always need someone around who thinks about the book a little differently than the rest so that you can have something to talk about, right? The whole time I was reading this I was thinking to myself that I'm likely to be the odd man out. I guess we shall see, but I shall proceed expecting such a thing! 1. Jesus wins. In fact, He already won. 2. He has claimed the church. The church will be victorious. 3. We are His. Nothing can take us out of His hands. Tozer bickered and moaned about various dilemmas that he witnessed within the church in the 1950's. Were he to see it now I can only imagine he would have become an individualist himself. He thought Christians were too on the fence, not passionate about their faith and that the world lacked any man so great (i.e., a Martin Luther) as to have global impact. Ok maybe the world is "lonely" for a Luther. While we don't have a Luther we can be happy about the fact that we do have the church which includes a passionate people of God who go about their daily lives with a mission and a passion to see the Gospel spread. These congregants/individuals may approach things quietly and differently than Billy Graham but they still exist and are still useful and worth realizing. I am not sad that any one preacher doesn't have the ear of the entire world at his disposal. I am more sad that we would so easily attack the church when God has clearly claimed it for His own. 1. He really passionately dislikes the idea of observing the church calendar. He said that a church calendar and liturgy are "Roman Catholic" and that the Reformation freed us from such slavery (see Chapter X, The Sacrament of Living). Tozer would argue that those who use the phrase "holy week" or "lent" are "misled." I disagree with him hotly on this point. But it makes sense that he would say that, having never attended seminary. That almost answers the question for me as to why he would take such a stand. It's a bit of that individualistic thinking in play wherein you fail to realize that you are called to a past history as well as to a glorious future in which you are connected with other believers into One Body. I do believe that following a Church calendar and observing times and seasons is not only completely scriptural (see the entire Old Testament which was never made completely irrelevant) but practically useful in examining one's heart and spiritual health. Also, any argument about "not liking liturgy" is going to fall on deaf ears with me because every church has a liturgy, even though they might not call it such. Every church service follows a particular pattern. You know when the call to worship will be given, and when the sermon is, and when the offering will be taken, etc. Liturgy. It's there whether you want to call it that or not. You might instead choose to call it, "The Order of Service" to make it sound less high brow but it's the same thing. Different words, same meaning. Creating order and liturgy is an inescapably human thing to do. Why? Because it's an attribute of God Himself to desire order and we who are created in His image desire order also. 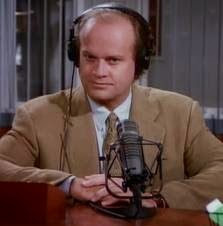 To that I can really only say, "What a dunderhead." But I expect others would like it if I explained myself a bit more. There is neither slave nor free, Jew, nor Gentile, Wesley or Bray, Tozer or Lewis, male or female. (I paraphrased but there really is a period in the Bible after that statement. See Galations 3:28.) For? For we are all one in Christ Jesus. One in the Church. One in the Body of Christ. Each of us made with a purpose. Each of us called with the same calling. Each of us called with a different gifting, yes, but each for the same thing. There may only be room for one on a stadium platform but that doesn't mean that there aren't forty more worth knowing in the audience. Some listen more, some speak more, some plan, some are "flexible", some are old, some are young, some have media attention, some are only noticed by a handful. Each one is part of the Body so each one matters equally because it's not about us, is it? No, it is not. I personally cannot preach a sermon. But there are things I can do that my pastor cannot that will connect widely with others. We are both needed within the Body. We are both equally sinners. We are both equally worthy of having a relationship with Christ NOT because of anything within us but because of Who Christ Is and what He has chosen to do. It's not of me, so I cannot boast. I can merely be grateful and connect myself to the Body which He has named as His own and make myself useful there in the manner I am called. Perhaps I am being terribly uncharitable towards Tozer. I fear so. However, when someone holds themselves out as being Chief in Knowledge and purports to lead a flock of believers they are subject to examination themselves and I can't say I'm impressed with the general attitude expressed. There is a distinct lack of humility which was really glaring to me and, as I say, made it hard to "hear" what he wanted me to hear. Know this (as I do truly understand! ): Tozer was passionate about developing a deep relationship with His Lord and Savior. I believe that. He was passionate about others feeling the same. I believe that's why he wrote this book and it's as good a reason to write a book as any! The best! If I were to summarize I would simply say that he was so passionate about talking to others and instructing them in their endeavors to obtain this relationship that I think he failed to listen and to observe. There's not much room for debating any subject with him, I think. He doesn't give off the impression of being much open for having a conversation with anyone that he felt was "misguided" and, I confess it, when I meet with that personality I feel compelled to walk away. It doesn't seem that much good will come of an argument with them. But when two parties are ready to and want listen to one another, then you begin to see amazing things happen, not just between them but within the church also. Note too that when I run into this attitude it always causes me to examine myself and my personality and see if I've been overbearing and harsh with others. (I have a tendency towards this and it's something I've been taking care to pay attention to. For this reason, chiefly, I think this was a good book for me to read.) I know too that even when a person appears not to be listening, they really are. And that's an invitation to talk to me, yes, even when you aren't sure that I'm hearing you. I am therefore willing to give Tozer the benefit of the doubt that he's not so condescending as he sounds but I still don't agree with the above statements in particular. On that note, I'm personally looking forward to a lively but respectful discussion about this book. I'm curious to hear what other people are getting from it that I am not. Would I say it's a good book to read? Hmmm.... I don't know. Convince me. Or, in the words of another lofty fellow, "I'm listening..."
I waited to read this until after posting my own review - and I am glad I did. :-) It's always amazing to me how different people can read a book and get different and even opposite impressions of it, but I guess it is that way with everything. I never got the feeling of being condescended to. I wouldn't necessarily agree with every single sentence in the book (one thing I had a major disagreement about I understood differently when I reread it for my review), but overall I was greatly ministered to. Just another thought that occurred to me just after my previous comment, but it was a while before I could get back to the computer. I didn't see Tozer's observations as "attacking" the church but rather pointing it to Christ. As you said, in every generation the church has had its issues and its preachers dealing with them. The church is Christ's, yes, and He has already won and nothing will take us out of His hands - but we're not perfect yet (and won't be until heaven), and until then God will send ministers to deal with whatever issues we're facing. Even the NT epistles did that - pointed out errors, wrong tendencies, and even potential wrong tendencies, that the church might be more purified and more accurately reflective of her Lord. Nobody was "harder" on the church than Paul...unless it was James...unless it was John...unless it was Christ. I guess my point is, Pastors have this terrible burden for the church, and in the historical context of the 1950s the church was inundated with worldliness, anti-family mindsets, and even the beginnings of Marxism! I can understand how a Pastor seeing these influences on the church might be sad, even a little afraid for his people. I agree with Barbara H.'s last comment. We're not perfect yet, and it's our pastors' job to point out where we're messing up and show us solutions, even harshly when need be. Paul was very hard on the Corinthians, but even that didn't hold a candle to the way Christ talked to the churches of Asia in Revelations - THAT was fire and brimstone at times! We're not to be stricter than the Bible or course, but neither are we to be softer when there's clear principles. That said, I haven't read this whole book, and I'm sure there are some issues with it. A defeatist attitude is never a good thing, but our pastors have a great and terrible burden for the church, that I don't think we can ever fully understand. They have to call them as they see them. That's their job. my review in case you're interested. Interesting! I've heard Tozer mentioned a lot over the years, but have never read anything by him. And after this review, I'm not that eager to! :) I do love the church calendar as well, increasingly so the older I get. And if he despaired in the '50s, oh my -- what would he say today? Like the other people I read this before I even started reading so...woopsie! My review is more scathing than I meant it to be, but I really didn't care for the book at all. I agree with you, Barbara. I can see how my review sounds very lopsided. I think the church needs to be called out on several things at the present moment and, of course, it needs correction in any age. This is true. Whiiiiich in a way I can see how Tozer is trying to build up the church. But then I can't hear him for his tone and it bugs me. Hence my review is more slanted in a negative direction. But ultimately, yes, I do agree with you.